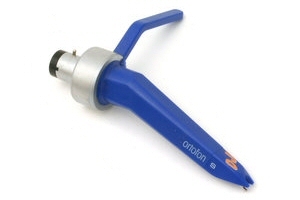 The Ortofon Concorde DJ S is a solid-built cartridge in a blue nylon material. It has a fine spherical stylus and a special developed and extremely balanced cantilever. Also available in OM Version ( cartridge and stylus that fixes to a headshell ).